The Ls series AC power supplies from California Instruments are a new version of L series California Instruments sources. 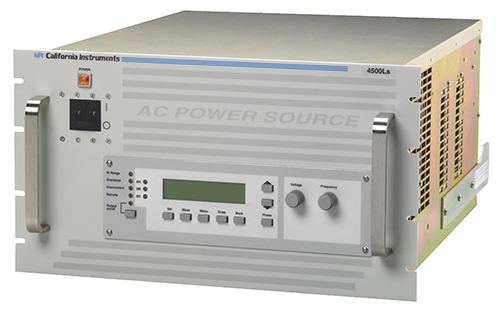 It provides many AC power supplies possibilities at economical costs. The arbitory waveform generation and other options are available to add on. They are available in single phase or three phase configuration. The single chassis can provide up to 6 kVA power. Multiple units can be combined for power level up to 18 kVA. The Lx series is a modern AC power supply to match the increasing demand of multiple features in a single unit to make the testing more economical. The Lx series is completely micro processor controlled and can handle various applications. The standard unit comes with built-in arbitory waveform generator and harmonic analyser. The GPIB, USB and RS-232 are as a standard.